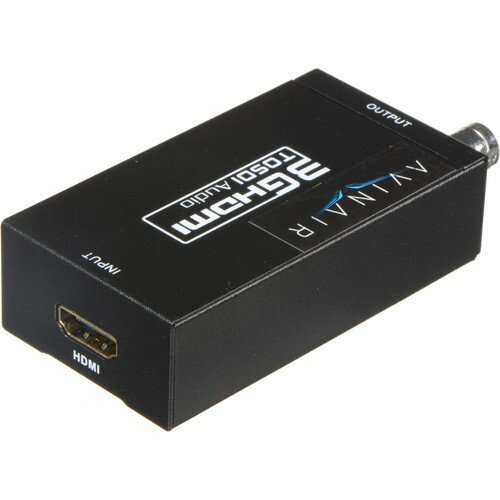 The Avinair Spitfire Pro HDMI to 3G-SDI Converter is a robust unit that features auto signal detection and two 3G-SDI outputs. 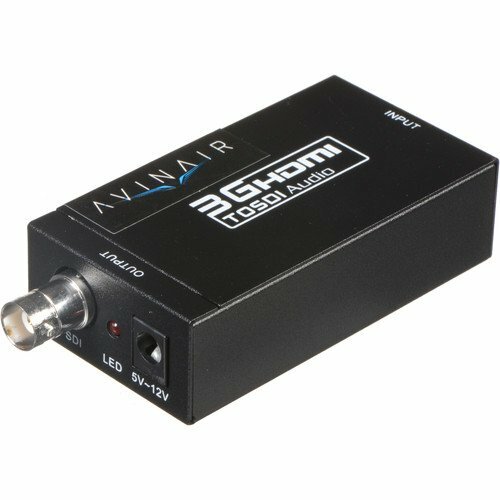 It converts Full HDMI signals to SD/HD/3G-SDI signals supporting a maximum of 8-channel HDMI embedded audio outputs. The converter supports 30/36-bit color in the RGB and YUV color space, and 24-bit audio at 48 kHz. It is built into an industrial metal case with LED indicators confirming power and video. It includes two installation brackets for mounting on the unit on a wall and an AC power adapter.